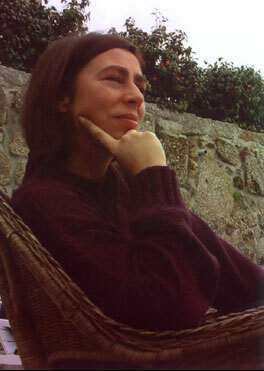 Born in Oporto, Portugal, 1961. For a life time Paula Cruz has developed her creativity and self-awareness, breaking into the world of art with determination. Healing and Divine Energy are also an integral part of her subtle Universe. "The soul which seeks spiritual consciousness through release from fear and pain." The loving intensity with the Divine, a simple synapse of ineffable sensations which, in the end, translate themselves into the faculty of understanding. I evoke emotion, sensed at every moment". The explanation of her creation, her intense psychic life, a neurology of art, conquors the power to express emotion in each one of us. "My experience of painting is visceral. I evoke emotion, sensed at every moment. The absolute, the spiritual touch, the healing fuses the interactive gesture of knowledge and the search for myself"
-Pain which is expelled in opposite directions. -Tension which runs through us. -lost emotion, anger transformed into chaotic silence. The Soul which seeks spiritual consciousness trough release from fear and pain. Life Force which drives me. runs through me in premature realisation. I contract without contradicting myself. I expand until finding myself. Degree in Psychology – Fernando Pessoa University, Porto. "Mutant Conscience", Rio de Janeiro, Brasil. Publisher - Raízes, 1997. This materic painting is caught between a scream and a dream, between blood and the earth, arising from one knows not when, out of the depths of the world to a light-flooded vision in the night. At first glance, this is how this work by Paula Cruz will come across to us. The painting connects to her other verbal language and is transformed into an authentic handmade poem exposed in a fiery incandescence and opening into sultry dawns of a desired new day that crosses the eco of time, gushing out of visible space where the shapes crop up impetuously from the chaotic and later become simplified. These shapes are conceived by dense lines often diverging to energetic rectangular or spherical structures, yet always oozing with dripping ardour. Accordingly, one can say that the author's vast imagination is underpinned by the generic and the intuitive. There is a tremendous feminine sense of gut feel for her compositions, which are doubly penetrated by contrasts of intense chromatism with excruciating black. Subtle memories of lived, indivisible ecstasies of the flesh and spirit are expressed, whose complete union only a woman grasps through the joint experiences of lovable warmth and the splendour of childbirth. In other words: marrying the sensual with the spiritual to enrich the profound conscience of certain joys and pains that approximate the most intense vitalism inherent to the poor and noble human condition that is condemned after all to death. In fact, most of all this will be featured in Paula Cruz's best paintings, created on the tactile and the dense. Over and above this, they take on fleeting impulses aspiring to timelessness. This is consistent with what is desired in Rouault's mystique, according to whom the artistic would always approximate what is sacred, whereas for Matisse, the true sublimation of these rhythmic curves would transform them into the irradiance of Eros' luminosity. In this instance, both of these sensitive formulations are present throughout the work of the above-mentioned author, just as pleasure and suffering jointly reverberate there. It so happens that this is neither a painting nor a representation, nor a erudite speech for her, but rather a revelation of an indescribable psychic inwardness which does not aim at being aesthetic orthodoxies since it is something virtually fantasmatic. Using denotable expressiveness, given the certain fleetingness of highly blatant uniqueness along with sudden gloomy tones, vague profiles of faces of women are revealed every now and then, at times manifestly, while at others surreptitiously, who are interpreted as attractive souls at the resurrection of bodies yearning for past passions or crushed desires. Perhaps this is the reward for the puritanisms, which throughout the centuries, have always exited in hypocrisy masked as virtue. One may say, however, that in the painter's present, the here and now that is busy being revealed to us is the unveiling of the above, still existing conventions of the puritanical lie that is being projected. It is the supremacy of the truth, released from the womb for existential purity, which she resists. Irritated with herself, to the point of near uncontained brutalism, the surroundings of the indisputable reality of her painting along with baroquist and primitivist sounds, guide us to suggestions of a remote past. Yet it was certainly not by chance (remember Picasso and Klee) that the art of modernity recovered mythical archaic ancestry, which was obviously more imagined than actually lived. Moreover, under the circumstances at issue, this is revived by approximating the mothers of the world, who certainly continue to be more often raped than loved. Besides numbering in the millions, these anonymous sisters of the artist are frustratingly aware of the offences and manly sarcasms that so often respond to the feminine desire for passion. It is, however, like Paula, akin and venerated, to substantiate the heart of her culture and poetics released from the paintings carrying her name by sustaining the hope of living. There is a moment during which those who believe that there flows within them a type of subterranean river, which by some is called talent and by others a curse, which neither can nor should any longer be ignored, and which requires of them an overflowing of their personal limits, that which is contained and is part of fear, superstition, excessive control, and which so often, maybe unjustly imposed on ourselves. Truly, that uncertain wisdom grows slowly in everyone. Truly, every river may find the sea to which it belongs, as its source no longer holds it, its banks boil with its rough passage. And there is always a moment in everyone's life which is tormented by that talent, during which he decides, against all odds, that be accomplished through the movement of consciousness and his very own growth. Neither shall I say that talent serves, of itself, for anything. The world would be better off without an overload of talent and that nature herself had economically undertaken the distribution. All talent which is uneducated (and the first sign of education lies precisely in its con-tainment until it is understood that it may no longer be contained) is a lost talent, treading water, a type of excrescence which so often is accomplished through the vanity of realising its own existence, or exul-ting in its own narcissism, fascinated by the mirroring, and condemned to drown itself. Talent, being a gift, is only deserving of its own effort, the fight to birth and project itself. This is not, therefore a defence through which each one releases his more brutish or more difficult aspect in the name of expression. Much less through what is described as self-expression, which comprises the right of all small and medium intellectuals or artists, or whatever, feeling it to be a gift from God. Paula Cruz has many talents. Poetry, painting and her children. That of knowing how learn from life, travelling, which is, and was to far-flung places both within and without. And above all, she understood that talent is not to be ignored and niether is it worth-while showing it to the world before making of it a means of greater, higher and more pre-cious communication. That it be completed by the gift of what it teaches. This her first exhibition, violent in its images, volcanic and uterine (that is, between outer, explosive and inner, implosive secrets) gives evidence of precisely that. Of an unknown measure, that talent has no self-confinement but multiplies itself when a strong consciousness inhabits it and transfigures it in something other, more powerful, more refined and more communicative. One does not seek in them the trace of that effort, that ascension to wisdom which comprises merely in no self-wonderment but rather in demanding that all that is given be turned to gift. And that all that was given be always reviewed in the mirror of another who humbly seeks himself. That is her greatest gift, and it is not a small one. One of the more characteristic aspects of Paula Cruz' works here presented has to do with her difinitive independence. One does not, in fact recognise any specific aesthetic organisation or any affiliation which may easily be recognised in the art world. Why? Because, for its creator, these paintings have translated themselves into an intensely personal process of organisation of her inner world in detriment of the observation of the artistically correct canon. In these cases we may speak of art as an extension of a world of sensitivity. Of art, beyond the criteria of formal adaptation by the community of art in the hope of recognition, be it fatuous or in vain, of its peers. Contemporary art sometimes seems a recognisable recipe, the use of a combination of solutions and easy, immediate effects, but of doubtful pertinence. I believe it possible to think of art through this idea of liberation of the inner self, the transformation of inner obscurity to outer, clear expression. It is obvious that this tendency, which may be called lyrical, expressionist, informal, subjective, has not appeared now through spontaneous generation. It has, naturally, its own geneology inscribed in History of Art. And, it had, in the twentieth century, those who transformed it into one of the great axes of art, Kandinsky, Pollock, or Tapies ou Kiefer. Art may thus be legitimately just a cry (like Munch), just a sensory experience. The author may only wish to show the colour of her soul, independantly of the search for safer solutions. With Paula Cruz' works we feel ourselves to be in that Universe. We are confronted by that desire for expression. As though language were inadequate to recount the desire to communicate. As though we are beyond Wittgenstein when he affirms that "the world is all that is contained in my language". Here, the world is beyond language, so it must be painted, that is to say, create another language beyond the writing of colour and the material grammar. The painting transforms itself into 'poemacto' (to use the title of Herbert Helder), into a manifestation of the author's lyrics which in this case is not too far, Paula Cruz also being a literary author. There appear to be in her heavy and violent reds, a literary inspiration of 'stendhalian' matrix. The red and the black are colours with a dense and sentimental importance. They are colours which express strong impressions. And in Paula Cruz' works there is, sistematically, this fascination for strong colour. So strong, that sometimes, it carries with it matter incorporated in the paintings. As if in the moment of creation there existed a vortice, a spiral which raised all around and made the perifery of the painting the painting itself. As if it were constructed with the residuals of the world. As if a crying painting could contain the shout that the author wishes to cry. We are, thus, before a painting of great energetic density (and for this reason of great material density: We are mindfulof the Einsteinian conversion between matter and energy, E=mc2). This painting is an extension, a continuation of the inner world which organises itself through the chromatic propulsion and materiality of its author. The large, provocative paintings of Paula Cruz resonate with a direct and exhilarating range of expression. Sometimes disquieting, often illuminating and always visceral, they are imbued with a refreshing kind of raw intensity. Shades of reds punctuated by blacks and yellows inject these works of art with vigour. The colours of blood, passion, and the unknown draw us in. We search through layers of heavy impasto, scratched and bubbling encrustations and slick and slippery puddles and drips. Before our eyes enigmatic life forms and ambiguous abstractions unfold. We enter their shrouds of mystery as if we are entering several different worlds simultaneously. In this process we discover the artist's visual and spiritual journey as well as unmasking our own levels of consciousness. Paula Cruz employs a rich and versatile vocabulary, raising many questions about the human experience. She seems to find her inspiration from such deeply rooted sources as cave paintings, tribal cultures and religious symbols. Fertility, conscience, love, mortality are just a few of the profound issues that preoccupy the artist who is also a highly regarded poet. However, for all their intuitive impulses and primitive iconography, these paintings are not without sophistication and proficiency. The artist's curvilinear morphology creates a compelling architecture from which the dream-like characters appear and disappear from the deep shadows. Most importantly, Paula Cruz's images transcend any particular association to become universal depictions of birth and death, transformation and affirmation. In doing this she is among an important group of artists today who channel their creative powers in order to inspire and heal viewers. There is, in Paula Cruz poems a certain liberty of speech which captives me. That accessibility which poets have, and which in times gone by were to be found in oracles, denotes greatness of soul. Through her one sees manifest that spirit as yet without form and which, for that reason belongs to the basic order of poetry. An example of this is seen in the aphoristic character this poetry achieves through the intemperate, or abandonment of reason's routine, thus leaving the emergence of an inner voice. That voice which lends itself so well to poetry. At times they are almost casual, like a thought conjoined with an experience, but, others are true arrows disturbing even; as telling us, dryly, that "regret is fear/of the responsibility of the deed" or "like a plate of asparagus/love's return", in this last instant a metaphorical appeal, so utterly unexpected it annihilates all identification, instilling a perception at various levels of awareness, appropriate to the invasive nature the poem demands. It is true, that through her almost raw nature, and I refer here to her nearly careless manner with musicality, which not without reason this poetry aspires, these verses render themselves almost cutting; or possessing an abstraction whose intimate form can be difficult to follow. However, this by no means implies that they are any the less poems or that their referred experience is less authentic than that which we may demand from, indeed, all poetry. This authenticity is seen like an unhealed wound, resultant of almost tangible experiences which hail from the life of spirit. Two verses remind us that "The Universe watches us/because we are watching It". Just as in the poetry of certain mystics, so here often we search for those moments in which the flux of imagination reaches that state at which two words rubbed against one another ignite an unexpected flame; thus achieving their brilliance in the light of an intense understanding revealed through the very word as an evocation of magic. This permits the writing of "I, too am/a being of light". Poetry from the Sub-conscious - the growing cultural exchange between Brazil and Portugal bring to our attention the work of one more valuable poet: PAULA CRUZ. Her verses flow in our day-dreams, touching our sensibility with the same feeling with which the authoress conceived them in her sub-conscious, so much so, that in order to hold her creativity, she prefers to express herself in the first person singular, inviting the reader to participate in the process of creation. Poetry is born intimately within each one of us expressing that which is in the soul: joy, conflict, doubt, desire, love... She sometimes touches the heart and shows herself as a lover of pleasure, attractive, mystic, divinatory, on other accasions she retracts to the deepest roots of her thoughts, impressing and surrounding us with a limited superior vision, aggressive, bruising. On the one hand a rose-tinged life, when dreams merely translate carelessness, without any great connection with what may accur, on the other hand, a thirst for discovery, novelty, diving into the unknown as PAULA does, leading us into enquires where few find answers in her unconceived dreams. The simple classification of literature and popular art is merely the first step on a ladder, the height of which is unknowable; each step climbed a self-discovery is achievable, depending on our acceptance, understanding and interpretation of the meaning of that new fase. The popular genus simply shows one reality, whilst the culture leads the reader to efforts in research; in cinema some like simplicity, adventures with no demands, others are enchanted and enthuse over the works of Antonioni, Remoir or Glauber Rocha, inexplicable to many. In potry, opinion is also divided. PAULA CRUZ poetry, hermetic, investigative, freudian, emerges from a sub-conscious where not all dive, translating into reality, into the spacious liberty of her elaborations, the sensibility of one who seeks to penetrate and interpret, in her own way, a Universe of contradictions of an age in each one lives in his own crysalis and reacts to the whiles of the wind which may push him to less absurd destinies, as the poet says: "It is not possible to write... things without first having thought them before feeling them, even emotionally". Can a text be born of nothing? Those in the know believe not: and speak of intertextuality, of dialogue between voices, of crossroads in discussion. In summary: of text as a geometrical place of other texts, simultaneous point of centripetality and centrifuge of other readings. PAULA CRUZ, with this book, shows us that it is not always so. A poetry-text, a long inner monologue where the voice descends to utter emptiness. A transcendental meditation into the night of her beingness in relation to the cosmos, that night which progressively transfigures itself into light during which her Path, her Tao, evolves under a labyrinth of words, metaphors and images. The flux of an inner voice externalised. That, too, is the work of the poetic word: the meeting with the profound and the establishment of an asmotic link with the Universe through the energy that emanates from the word. Mystic, this long voice-text-poem-inner epic? Cosmic, intimist? Without doubt. PAULA CRUZ confesses to writing but does not read. That is the creativity which lies in the genus of her text: a poetic voice which expresses only through authenticity of the meeting of words with her inner self, her fusion with the cosmic, the Universe, of which she is a part. The point of a void of a creative original. A lonely discourse in the silence of voices. Books are sheets of paper painted with ink, certainly, and this, in a more sceptical moment, the poet's view. What, then, is painting? Canvases written with colours? The silence of this space surrenders to the beautiful panorama of the river, winding sinuously through a tapestry of smoke, music and hanging overcoats. It is here that the canvases lean, agaisnt solid, silent stone walls perhaps questioning - what are we doing here? A wise question confronting the naif gesture that bore them. An existence bent toward figurative drawing? Does the size of the canvases equate with the artist's quest? Does this matter? Does human life have meaning when the gentle curve of a river may be espied sadly from a window at dusk? What is the meaning of the canvases, secretly abandoned there before and now exhibited? The artist replies. "The Universe watches us because we are watching it" - she adds that she paints with her soul. And the black shape of feminine hands joined in prayer eyes us from a painting with all the humility of a silent resignation. The artist answers: "The squalid brilliance of the dream which shames the virginity of the seed which consumes us, returning the sensation of living to me. What do the paintings say to me? It is trough color that i hear them. But what does all this matter if I can see the bend in the river through the glass with the same pacific indifference that I see the canvases leaning against each other, condemned to silence. I wonder what they say to one another? Do they think of me, or about the river?